NEXT ARTICLE Wilson: 28 goals isn't bad, but I wanted 30! 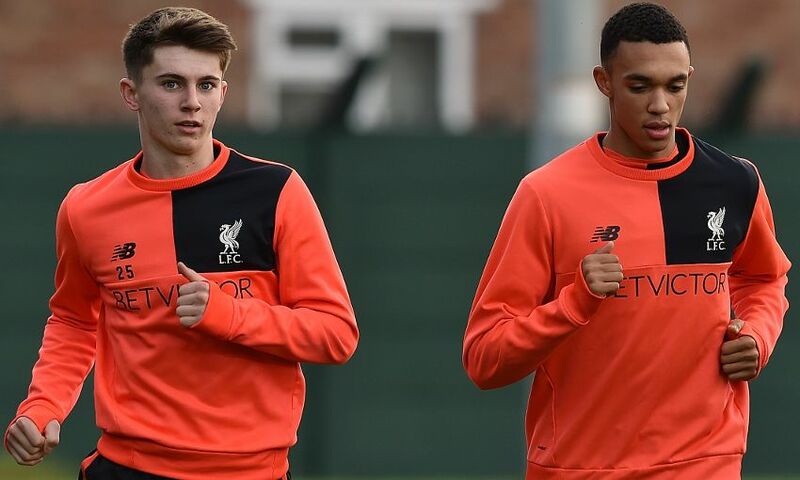 Trent Alexander-Arnold and Ben Woodburn have been nominated for the Premier League’s PL2 Player of the Season for 2016-17. The Liverpool pair have been named on an 11-man shortlist following their excellent performances for the U23s this campaign. The final list has been based on the total number of nominations for the best individual performances from opposing PL2 managers throughout the season. The winner is expected to be announced next week. Mason Mount (Chelsea), Liam Walsh (Everton), Axel Tuanzebe (Manchester United), Todd Cantwell (Norwich City), Josh Sims (Southampton), Joel Asoro (Sunderland), Oliver McBurnie (Swansea City), Domingos Quina (West Ham United), Marcus Browne (West Ham United), Trent Alexander-Arnold (Liverpool), Ben Woodburn (Liverpool).